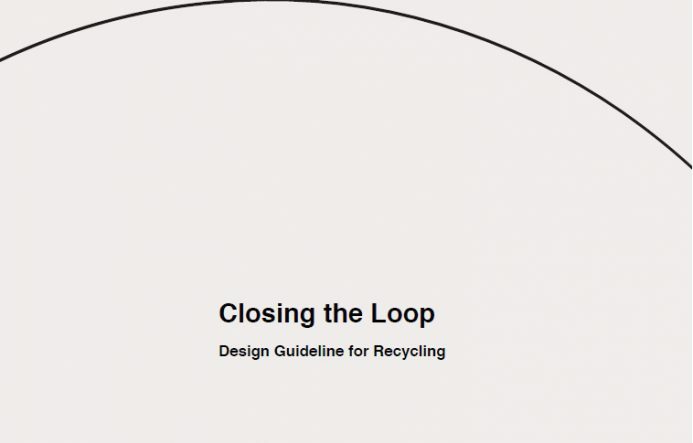 In this report Zinzi de Brouwer – Master Fashion Strategy, developed a Pilot Design Guideline on Recycling for Students and Emerging Designers. The aim of this manual is to design a product that makes it easier and more practical to be recycled at the end of it’s life-cycle, ultimately facilitating the metabolism of the garment. This means avoiding down-cycling, as well as incorporating zero-waste policies wherever. Fashion designers have the unique opportunity to change the way products and materials are made, used and disposed of. As carriers of change, they are able to positively contribute to environmental and social impacts, re-utilising products and materials that will be part of the future of closed-loop systems. In order to do so, it is crucial these creative makers understand the complete lifecycle of the textiles and products that are being utilised in practice. Designing extends beyond the product; it involves people and society. If designers are more knowledgeable on the design and production processes, they can better carry out influence that will affect the future of fashion and consumption. This is a responsibility that is increasingly felt by fashion brands in general, however the added value of recycling as a business case still remains to be considered, in which reduction of impacts is felt across the entire supply chain of a product. Recycling should be seen as part of a bigger calling, deriving inspiration from nature which is based on ecosystems and cycles. Herein, designing is done for the benefit and good of people and the planet, narrowing the link between the makers of the clothes and the people who wear them. This instills a method of thinking in systems. The purpose of this pilot manual is that it paves the way for innovative and environmentally conscious products that reflect a philosophical and practical approach to recycling and sustainability in general.